Welcome to our organization's web site for office toys! The Nebraska State Student Nurses Association is a charter member of the National Student Nurses Association, a professional organization formed and led by student from all parts of the country. A student nurses association web site is a great way to organize a charter, keep members informed, and attract a broader audience by introducing ourselves to the community. We'll use this site to inform people about our student nurses association, share ideas, and organize events and activities. On this home page, we'll introduce our organization and give some examples of the types of activities we're involved in. The site will be under construction for awhile as we receive pictures and stories from local chapters. If you have a story and or a picture, please feel free to submit it to Joe Mangiameli, N.S.S.N.A. President at jmrn2b@hotmail.com. 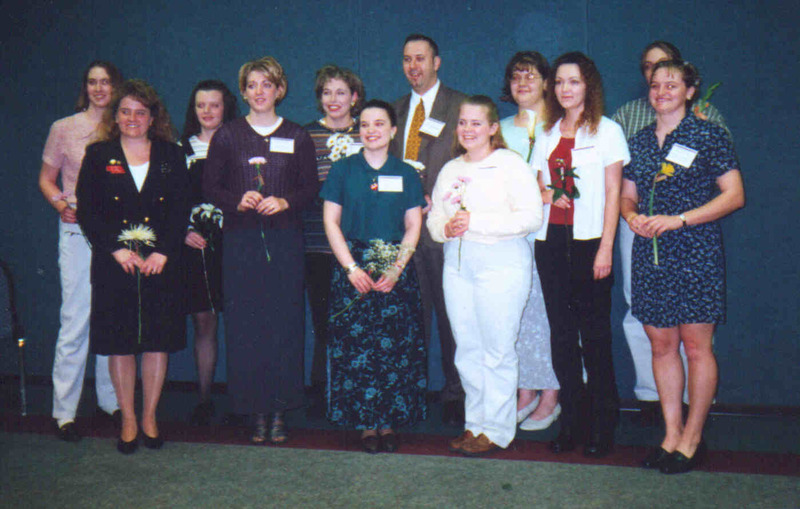 Members of the 2000 State Board are from left to right back row: Jenni Janecek (Nominations Chair), Elli Willer (Legislative Chair), Jennifer Lundgren (Breakthrough to Nursing Chair), Joseph Mangiameli (President), Torri Merten (Image of Nursing Chair), and Melissa Prochaska (Communications Editor). The front row from left to right: Suzy Bohlen (Student Advisor), Jamie Ficken (Secretary), Michelle Schock (Community Service Chair), Courney Rae Koch (First Vice President), Jami Finch (Treasurer), and Laura Carlson (Second Vice President).